Fully painted versions of Konatsuya's Negora are coming to Q Pop. We're accepting pre-orders now!! Don't hesitate to get them because they will extremely limited and the last batches sold out quickly. Please note that the picture is of a rough paint sample and the final toy may vary slightly from this. Expected arrival is the end of January. Shibara ( brown version) will be available in February. 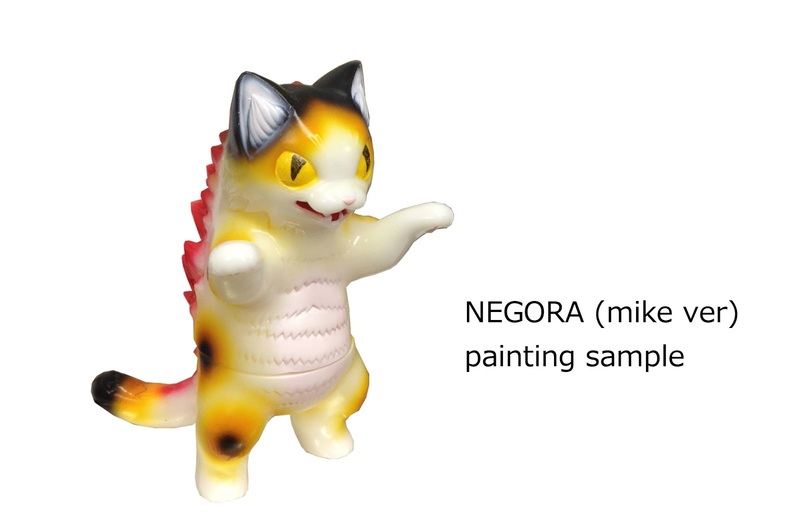 UPDATE: Mike Negora has been slightly delayed and will be arriving mid-february...WITH the arrival of Shibara (brown version)!! Do you know Negora? The giant Cat Kaiju popularized by Max Toy? Last month we got the brand new sculpt of Negora directly from the designer, Konatsu. Now Negora has a rival....a canine version......SHIBARA. We've just gotten the first 2 colorways...transparent blue and transparent red.